2013 NL Champion Cardinals: Where are they now? It has been six years since the Cardinals last appeared in the World Series, where they lost to the Red Sox. Forty-four players played on that team; where are those players now? Six players are still currently on the Cardinals active roster: Adam Wainwright, Yadier Molina, Kolten Wong, Carlos Martinez, Michael Wacha and Matt Carpenter. 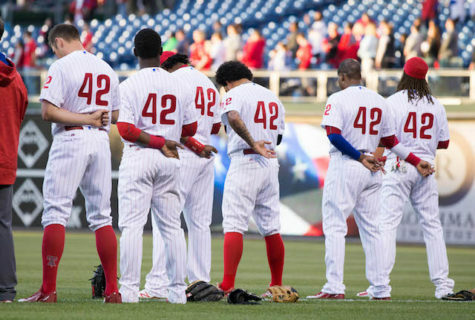 A slew of 2013 players have since retired, among them Ty Wigginton, Carlos Beltran (who went out with a World Series in 2016), Tony Cruz, Rob Johnson, Brock Peterson, Ryan Jackson, Jake Westbrook, John Gast, Jaime Garcia, Randy Choate, Mitchell Boggs, Keith Butler and Victor Marte. Others are still active on other teams. First basemen Allen Craig was shipped off to Boston in 2014 for John Lackey and struggled mightily. 2015 was Craig’s last year in the majors, where he hit .152 before being released after 40 games. Craig is now sitting in the Padres farm system as a 34 year old, working on getting back to the majors. The team’s shortstop, Pete Kozma, has jumped around the league in the minors with the Yankees, Rangers and Tigers, and has not amounted to a starting job since 2013. David Freese was traded for Randal Grichuk the offseason after the World Series that year, and has since bounced around with the Dodgers, Pirates and Angels. Matt Holliday spent three more seasons with the Cards before signing with the Yankees as their DH, and then returning to Colorado, where he began his career, in 2018. Center fielder Jon Jay, spent two years more years on the Cardinals before being traded to the Padres for Jedd Gyorko. He then moving on to the Cubs, Royals and Diamondbacks, and now, the White Sox. Multiple utility players from that roster are also still around the league. Daniel Descalso was on the Cardinals for 2014 before being non tendered and signing with the Rockies, and then moving to the Diamondbacks. He signed with the Cubs for 2019. Matt Adams was a prominent member of multiple Cardinal teams after 2013, before being traded to Atlanta in May of 2017, and then signing with the Nationals. 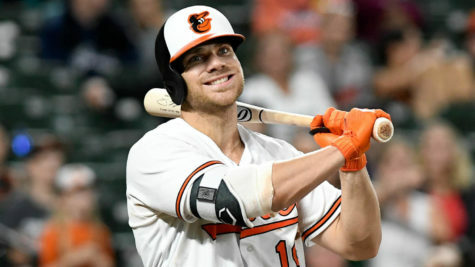 However, in late 2018, he was brought back for the final month, where he was a pinch hitter down the stretch. Adams has now signed back with the Nationals for 2019. 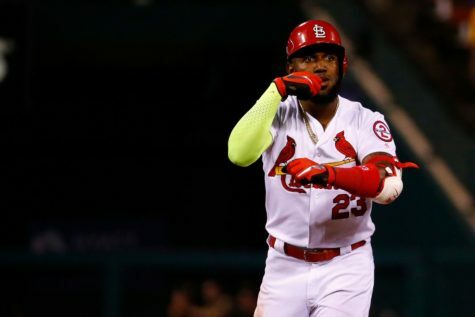 Outfielder Shane Robinson has jumped around with the Angels, Twins and Yankees since being released by the Cardinals in 2014, never having much success, batting .209 with two home runs over that time. Catcher Audry Perez has been with the Orioles and Rockies since becoming a minor league free agent after the 2014 season with the Cardinals, and has never once touched the major leagues again. For the pitchers, Lance Lynn was one of the better starters on the 2013 team, and remained that way with the Cardinals until 2018, when he became a free agent, and signed with the Twins. He was then traded to the Yankees in July after a slow season, and has recently signed with the Texas Rangers. Shelby Miller was traded for Jason Heyward and Jordan Walden after the 2014 season, and has struggled since the trade, having Tommy John surgery after being traded to the Diamondbacks. He has now signed with the Rangers. Joe Kelly split time in the rotation and bullpen in 2013, but was traded with Craig for Lackey in 2014, and found success with the Red Sox. He was with Boston until this winter, when he signed with the Dodgers. Tyler Lyons was also a starter in 2013, but has since been moved to a bullpen role, and eventually, after struggles in 2018, was released and signed a minor league contract with the Pirates for 2019. The relievers were very scarce that season, not many sticking with the club outside of that season. 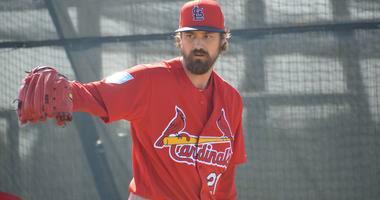 Randy Choate was on the team until 2015, being used only as a left handed specialist out of the bullpen. He attempted a few comebacks with the Blue Jays and Dodgers since then, never making it back to the big leagues, and then retiring. Left handed reliever Sam Freeman was released by the team in 2015 and picked up by Texas, and has spent every season since 2016 with the Atlanta Braves, finding mild success. John Axford was the closer for the 2013 team down the stretch, but has bounced around since, playing with the Indians, Pirates, Athletics, Rockies, Blue Jays and Dodgers, never finding the premeditated success. Maikel Cleto, the last player not covered yet on the 2013 Cardinals has had an interesting path. Cleto appeared in the big leagues in 2014 with the Chicago White Sox, but has spent every year since playing professionally in Mexico. 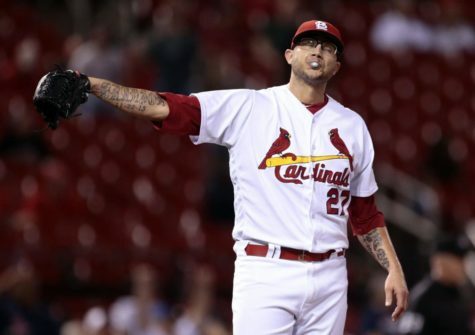 Finally, Fernando Salas, Seth Maness, Kevin Siegrist, Michael Blazek, Marc Rzepczynski, Jermaine Curtis and Edward Mujica have been sitting in minor league free agency for some time.